Painted an eye-catching bright yellow, Old Klang Rd. Currypuffs is a pork-free family restaurant hidden in the heart of Sea Park. It offers familiar, home-cooked Malaysian favourites at affordable prices. Some other favourites include Buttermilk Chicken and Ayam Rendang. The Ayam Penyet served here is one of my favourites! 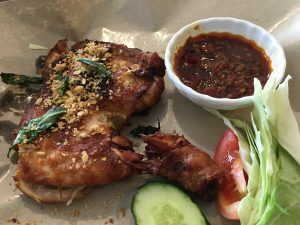 RM8.50 for a whole quarter chicken, served with Thai fragrant rice and spicy homemade sambal? Yes, please! And the meat is so tender it literally falls off the bone. And can we please talk about the skin? It’s crispy, and full of flavour. The portions here are hearty and feels home-cooked. I say home-cooked because at the heart of this homey restaurant is none other than my mother Juriah. 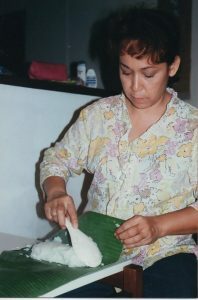 She hails from Ipoh and has been cooking for hungry members of the public for longer than I’ve been alive. Juriah is a mother of eight who’s been cooking for about 40 years and been in the food industry for about 25 years. She is also my mom. I was surprised to learn that when she first got married, she actually didn’t know how to cook. Sure, the interest had always been there. As a little girl, she would observe people cooking in the kitchen and cut out recipes from newspapers and magazines to put into this little scrapbook. My maternal grandmother wasn’t the type to encourage her children to enter the kitchen. Then came along a husband and eight hungry children (me and my siblings) and her little scrap book evolved into an extensive library of recipe books that encompassed Malay food, Indian food, Chinese food, Peranakan food and the list goes on. My fondest memories are of the family sleepily gathered around the dining table at three o’clock in the morning, eating something that my mom suddenly felt like cooking, whether it be a new recipe or an improved version of an old one. Admittedly, the food she made wasn’t always good – flashback to that one time she tried making sushi! But my mom loves experimenting as much as she loves feeding people, and so she’s the type to try and try again until she’s got herself a solid recipe. She opened her first restaurant when she was still pregnant with me. My siblings and I would go there every day after school to eat and do our homework. It supported the family for a good 14 years before drama ensued and she lost the restaurant to her business partner. But she persevered. She had eight children to support after all. So she opened another restaurant. And another one. And another one. Old Klang Rd. Currypuffs was her third restaurant in Brunei and her first restaurant in Malaysia. 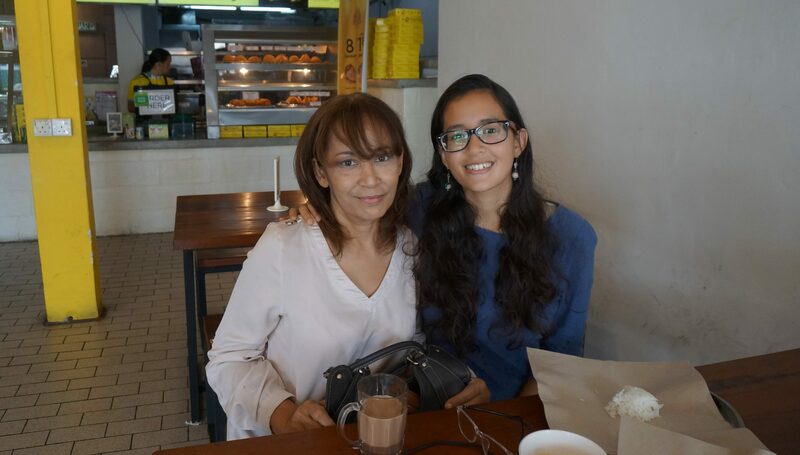 It started off with her experimenting with her older sister’s recipe for spiral curry puffs for over a year, eventually achieving a flakier and crunchier pastry and a juicier filling that is now characteristic of Old Klang Rd. Currypuff’s chicken curry puffs. The puffs would later gain a devout following in Brunei with the help of a family friend and business partner. 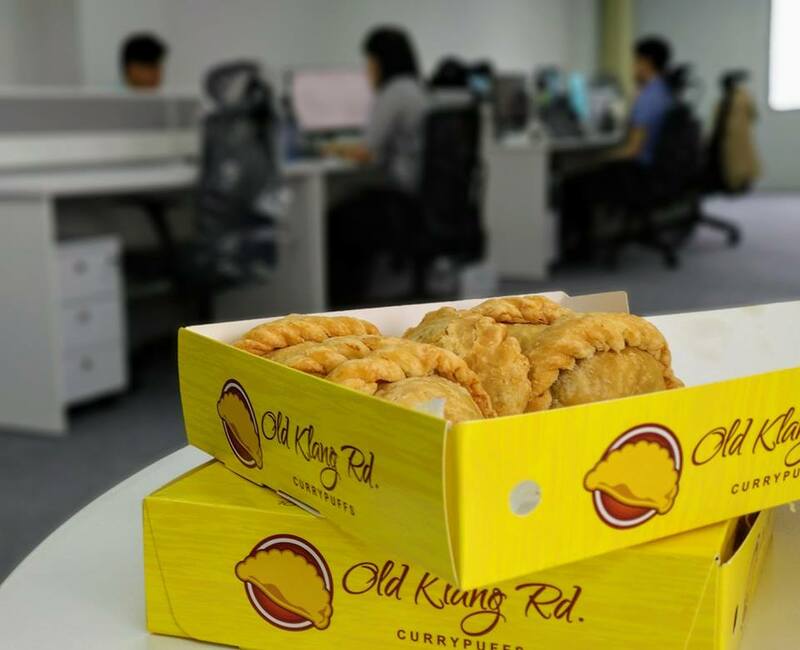 Eventually, my mom’s puffs earned enough capital and gained a large enough following to open up a little shop in 2015 that served piping hot curry puffs as well as other cheap eats. The shop did well, supporting my family for about two years before my mom lost the shop to her business partner… again. 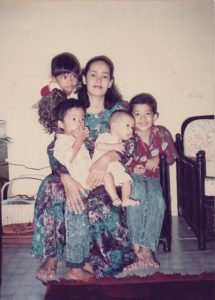 It was then, after 35+ years in Brunei, that my mom decided to move back to Malaysia. She still had two more children to support through university, so she couldn’t retire just yet despite turning 61 this year. So she found a place to stay and a shop lot to rent, and Old Klang Rd. Currypuffs at Sea Park opened its doors in 2017. Anyone and everyone is welcome to eat at Old Klang Rd. Currypuffs. 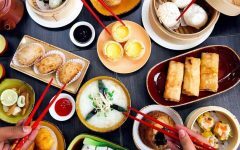 The restaurant is a homage to mamaks, kopitiams, gerais, school cafeterias, and the kind of food you would eat back home. The menu selection is small and familiar. Every dish is less than RM10, making it an affordable place to makan. Common sights are office employees coming in for a delicious meal during lunch hour and senior citizens lingering over cups of coffee and exchanging news. You will also find people buying boxes of puffs to take home to their families or as a gift to their friends. When at Old Klang Rd. Currypuffs, the classic chicken curry puffs are definitely a must-try. 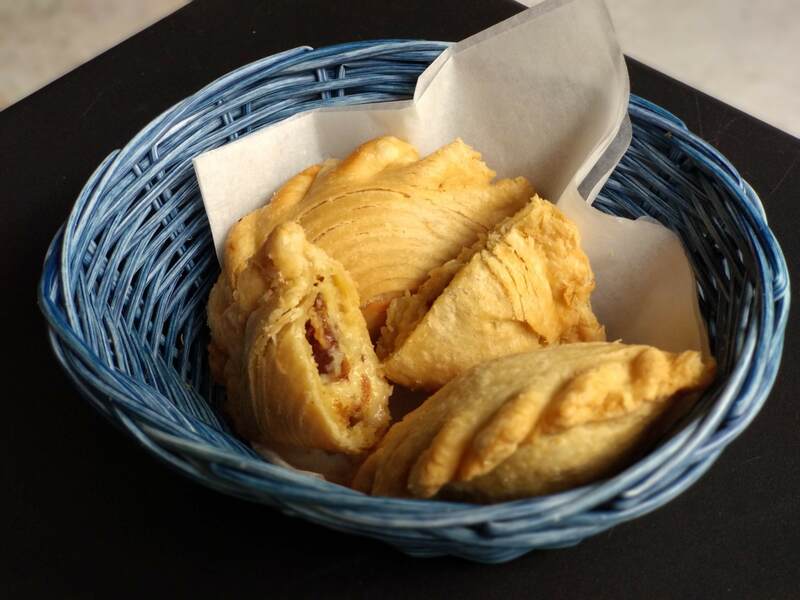 Boasting a thick, crunchy, flaky kulit and a moist, hearty chicken curry filling, the handmade puffs pair well with a cup of teh or kopi and an exchange of the latest gossip with friends. If you’re feeling adventurous, the restaurant also specialises in a line of one-of-a-kind puffs. Ever since she opened shop in Malaysia, my mom has been experimenting with new puff fillings. Currently, there is a total of 11 unique puff flavours. Savoury puff fillings include pumpkin lamb, egg mayo, curry potato, chicken mushroom pie, sardine, ayam rendang, and beef pie. Sweet options include choco banana, the pina colada, and apple pie. 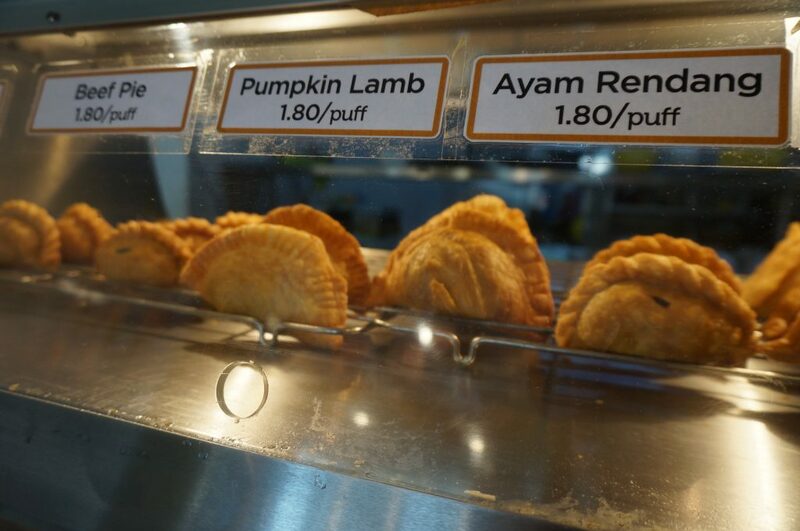 My personal go-to puffs are the pumpkin lamb curry puff, the beef pie puff, and the choco banana puff. Word on the street is that a salted egg yolk custard puff is in the works. I’m looking forward to add this to my list of preferred puffs very soon. I’m a buttermilk chicken girl through and through. I was born and raised in Brunei, and the locals there love their buttermilk chicken. The version served here is my favourite. The chicken is bone-in (which can be a turn-off for some people) but also juicy and crunchy. Patiently prepared, the buttermilk chicken sauce is thick in consistency without the use of cornstarch or flour and is fragrant with the distinct aroma of curry leaves. Cili potong is served on the side so you can make your meal as salty and/or spicy as you like. I throw all the chilli in and then regret it afterwards. Are you hungry yet? If you’re in the neighbourhood, do pop in to say hello and get a taste of my mom’s cooking. I’m quite sure that you will be addicted and coming back for more. Layla Maghfur likes long romantic walks along the aisles of the nearest grocery stores and cooking for her family and friends. Much of what she knows comes from her restaurateur momma and from working part-time at a burger joint for two and a half years. 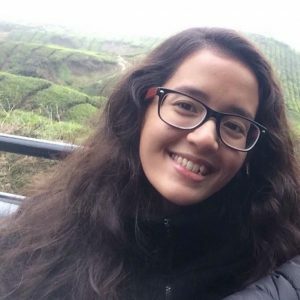 Born and raised in Brunei to a Malaysian mom and an Indonesian dad, she grew up eating the best of three worlds.